Make a strong security statement with the green address bar. EV (Extended Validation) SSL Certificates are premium business-class SSL security products, visually confirming to your customer that your site is safe and the highest authentication among SSL certificates is being utilized. 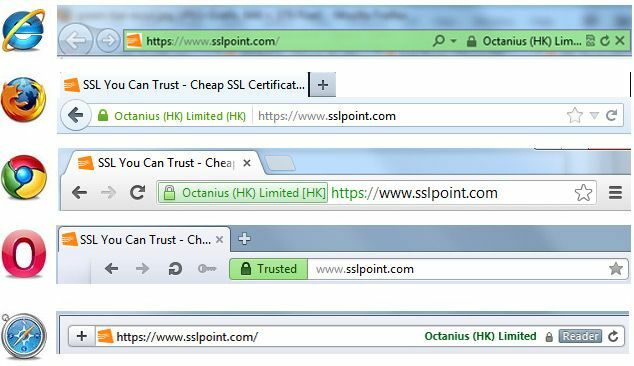 Get the customer impact of the green address bar for your business’ web site with low-cost EV SSL Certificates from SSLPOINT. All prices on this page are displayed in Australian Dollars (AUD).